My consciousness got exposed to the Spirits of some young Tibetan men whose untimely deaths I had witnessed. I dedicate this blog post to those Living Tibetan Spirits that continue to live in my consciousness. WHO IS MY VALENTINE ? The word Valentine as a noun describes a Sweetheart chosen on St. Valentine’s Day(February 14). A note or greeting card sent to Sweetheart on this Day containing a message of sentimental love is also described as a Valentine. This year’s Valentine’s Day is of special significance to the Tibetan people as they ushered the New Year of Iron Tiger Year 2137 of their Lunar Calendar. On this Valentine’s Day, I want to assure my Valentine that the burning passion aroused in me is alive and has not died. After attending Kurnool Medical College, Kurnool, Andhra Pradesh, India, I had joined Indian Army on July 26, 1970. On July 26, 1971, I had completed my military and professional training at Military Hospital, Ambala Cantonment, Haryana and was fully ready to serve the nation in my role as a Medical Officer of the Indian Army Medical Corps. I left Ambala on September 21, 1971 on my first posting. On September 22, 1971 after reaching my new Duty Station I met my Flame. The Flame kindled a fire in my heart. That fire still burns. "Old Flames Never Die" - A Pledge to my Valentine. These Flames kindled a fire in my heart on September 22, 1971 and that fire still burns. I shall keep the Flame alive in my future. As the saying goes, “Old Flames Never Die”. The Flame lives in my Consciousness. On this Valentine’s Day, I pledge that I will keep the Flame alive in my future. The message that I want to send to my Valentine is ; “My past, my present, and my future is a continuum.” I share the pain and grief that my Valentine has experienced in the past and is experiencing now. We both understand the Challenge, share a common hope and expectation of a better future. The Spirit of my Valentine languishes in Darkness. The darkness of military occupation has enveloped my Flame threatening her very existence. She needs a breath of fresh air to survive. I promise that I am the Breath of my Valentine’s life. I seek the Compassion of Buddha to keep the Flame Alive and fulfil the Pledge made to my Valentine. 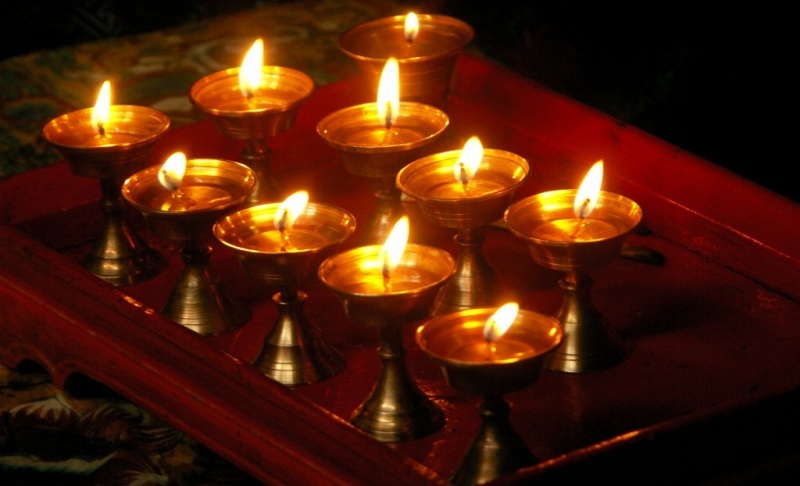 The Butter Lamps lit in my Unit’s Gonpa( Gompa ) are still glowing. I seek the Compassion of Buddha to keep the Flames Alive. I seek the Path of Triple Refuge to keep the Old Flames Alive. 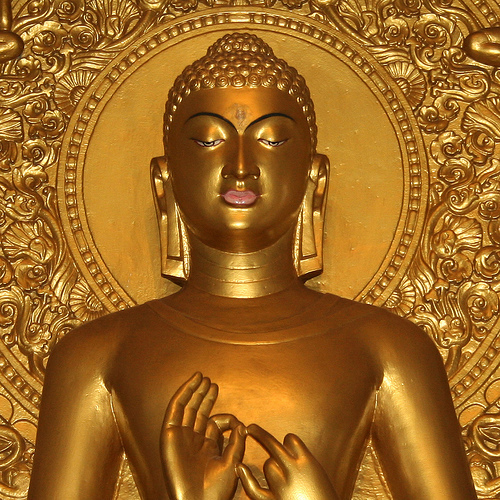 I seek the Refuge of Buddha. I seek the Refuge of ‘Dharma’. I seek the Refuge of ‘Sangha’. The Path of Triple Refuge to keep the Old Flames Alive. 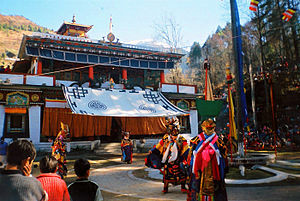 Tibetans celebrate their New Year in the traditions of their Lunar Calendar. The Valentine’s Day this year has coincided with their New Year – LOSAR celebration.In due recognition of the pain, suffering, and misery that is experienced by Tibetans inside Tibet, the Tibetan Community has refused to celebrate LOSAR this year. 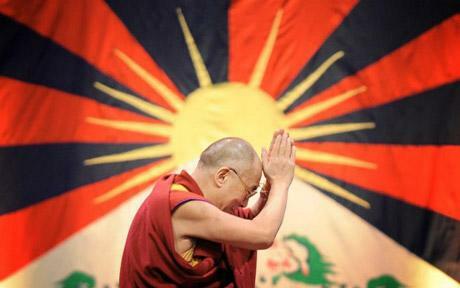 I send my greetings of “TASHI DELEK” to all of my former associates and people who defend Tibetan Identity.